I've been a fan of QVC's jewellery for quite some time now. There's so much variety and everything is gorgeous. I already have a necklace from there, and got to try on some of the pieces a while back as well. I know i wasn't the only really excited one when they offered to sponsor this Take10 challenge. They let each of us choose a ring from Butler and Wilson, who do some amazing, sparkly and animal inspired rings. 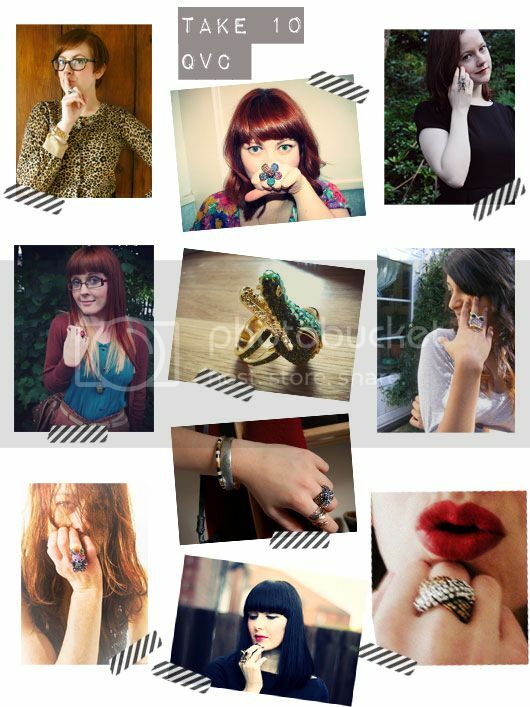 We all know how much I love statement rings, especially those that can be doubled up as a weapon, so I was spoilt for choice when picking which one to have. Because it's such a statement piece, I decided to go low-key with my outfit. The plain grey top is from Dorothy Perkins, and was definitely plain enough so that all the focus is on the ring. I'll definitely be wearing this out and about, especially with Fashion Week around the corner. This has definitely been one of my favourite Take10 pieces and one that I will wear time and time again, to add a little fun to my looks. What do you think? Would you wear such a statement piece of jewellery? This ring is so gorgeous! This ring is so funny and adorable. Not to mention that I love owls...Glad to see that you had such a great time at London fashion week! What a fun ring, darling! what a lovely ringgggg! you look great Sherin your hair looks fantastic! Yes I would definitely wear such a statement ring. I love it. Love the way you have worn a simple outfit to really show it off. Oooh I love your owl ring - so stylish! Thanks for the bday wishes - hope you are enjoying your weekend! 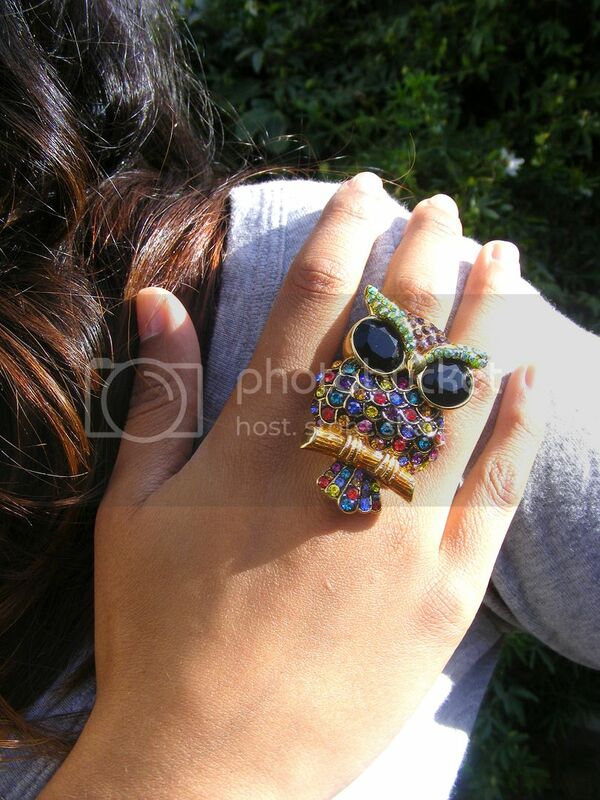 I really love the ring you picked - the owl is so cute!